Episode recorded on April 22, 2015. Caprice Gourmand by Les Jardins de Gaia: organic green tea with rhubarb, strawberry and vanilla. With white heather honey. 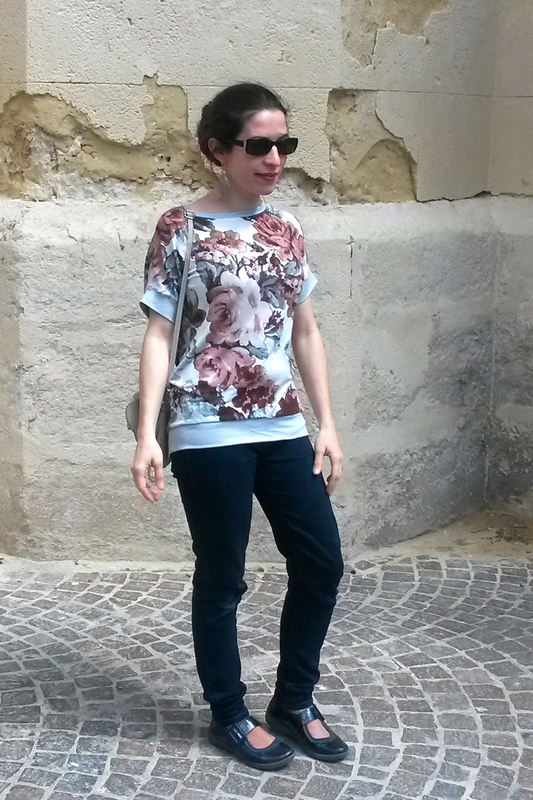 I am wearing my Day Tripper Top by Shwin Designs.The fabric is from Toto Tissus. You can use the tag #gentlealong on Instagram. – One skein of Lambswool and mohair Aran from Gregoria Fibers. 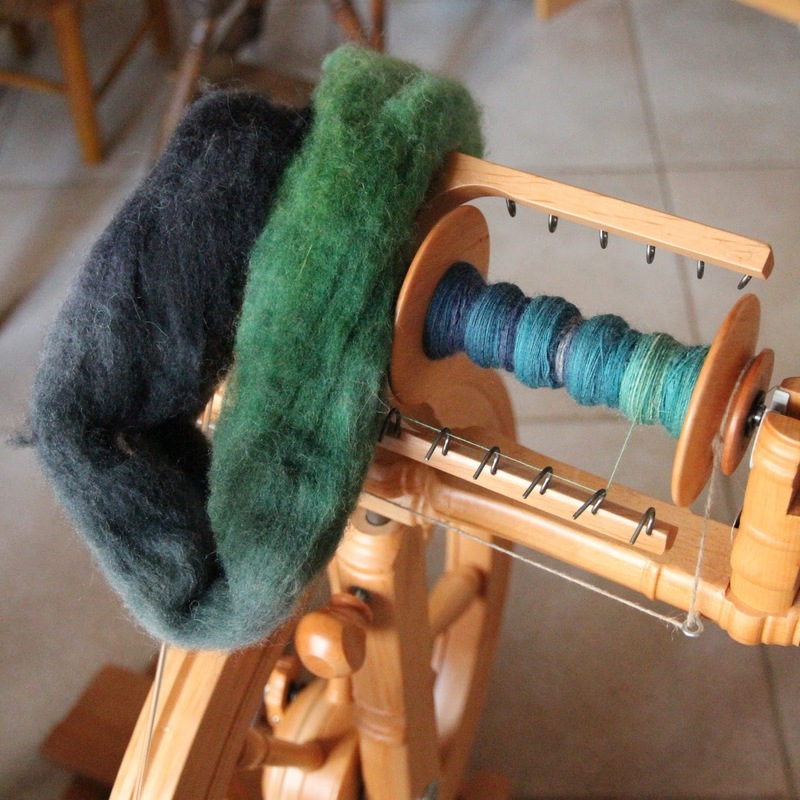 – One braid of BFL and Trilobal from Fondant Fibre in the Happenstance colourway. – The Tea Collection by Clare Devine: one ebook for one winner, and one pattern for two winners. – A project bag sewn by me. – I made a tunic out of Simplicity 1333 and a slinky, Lycra-type fabric. 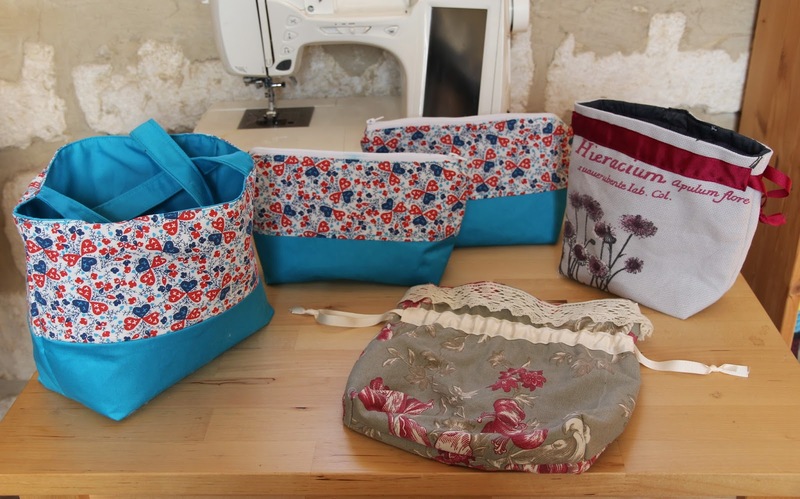 – I have been making lots of project bags, and got some new fabric to make more! Hitofude Cardigan out of Surnaturelle yarn from La Droguerie, in the Ardoise (Slate) colourway. – Finders Keepers Amigurumi Doll by Ilaria Caliri, out of Bergère de France Ecoton (recycled cotton and acrylic blend, made in France). – A secret project out of Voolenvine Succulent yarn, on her Lush base. 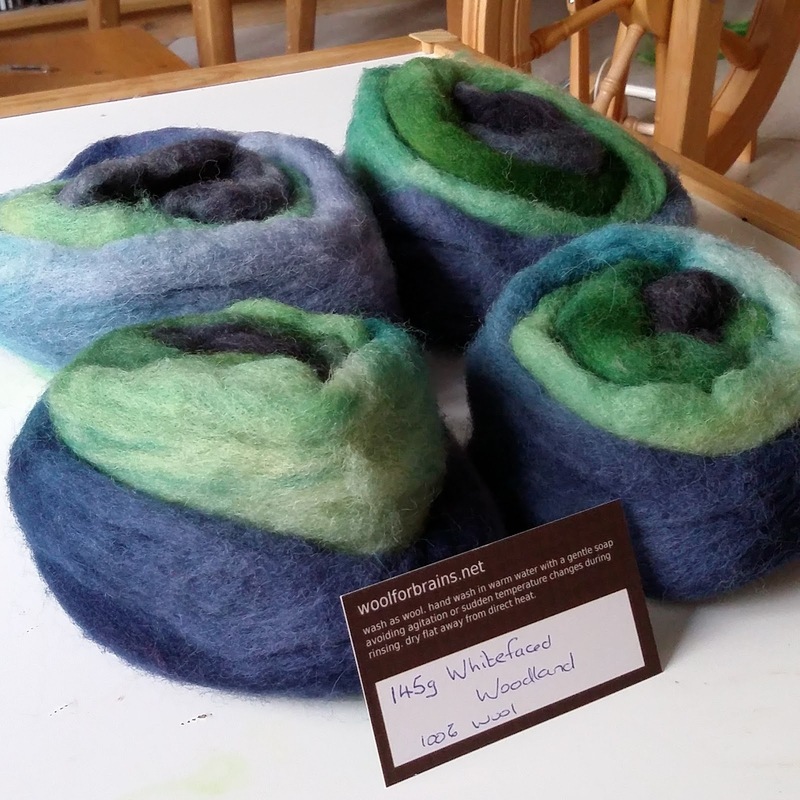 I have been spinning sock yarn out of Whitefaced Woodland dyed by Woolforbrains on Etsy. Thank you for a lovely podcast – in spite of your strenuous schedule and tired voice. I wanted to share the soothing properties of licorice with you, for the throat. I know you love tea. 🙂 It makes a wonderfully soothing tea for the throat. There is also ginger-honey-lemon tea…. Beautiful and inspiring podcast! Again, thank you! Hello Isabelle just popping in to wish you a very Happy Birthday. Have a lovely relaxing day (I hope).